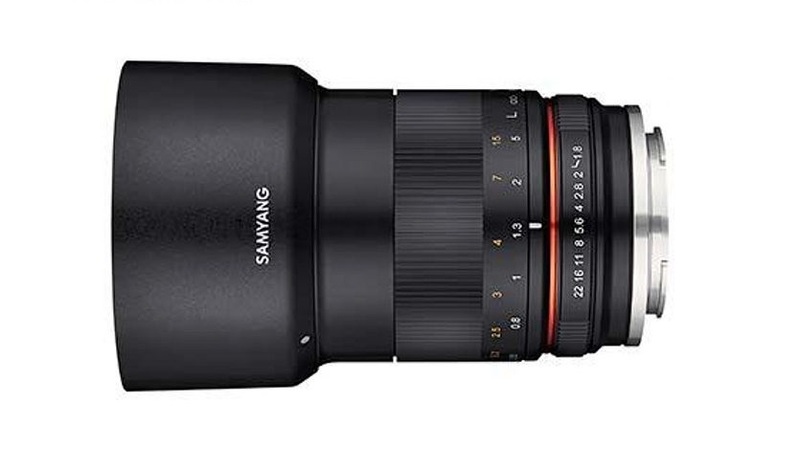 Samyang officially announced a new manual-focus MF 85mm f/1.8 ED UMC CS lens for Sony APS-C E-mount mirrorless cameras. This manual-focus 85mm F1.8 ED UMC CS lens is a medium telephoto lens, with a similar angle of-view to a 135mm lens when compared to full-frame cameras. The Samyang MF 85mm F1.8 ED UMC CS is designed with 9 lens elements in 7 groups and it delivers high resolution from the centre to the corners of the image. A high-refractive and an extra-low dispersion element, along with Ultra Multi-Coating (UMC) help minimise chromatic aberrations and deliver clear, vibrant images. This lens is ideal for portraits, with beautiful bokeh from its floating-element system. Its low-light performance and shallow depth-of-field are especially useful features.